As the 1970 acetate labelled Dream of Dreams proves, the Revolution label added an extra ‘s’ to the official release pluralising it to ‘Dreams of Dreams,’ but that mistake has never bothered heavy psych record collectors. Popsike lists copies sold for £526.00 and £678.77 in 2013 and 2014 respectively, but forty four years on why does the only record ever released by Smoke still create considerable confusion in curatorial circles ? 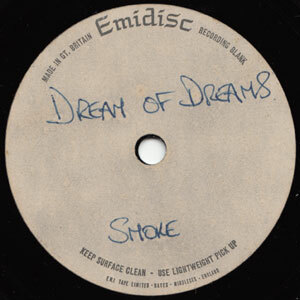 After two years on the road, a cancelled European tour, a ripped-up recording contract and a bizarre three-day long marathon jam session in the shabby interior of the 19th century Corn Exchange building in their home town of Bury St Edmunds, Smoke released just one mis-titled single before disbanding. 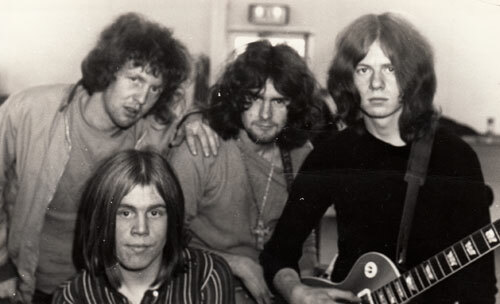 Like many aspiring young bands they were enthralled by the exhilirating sound of British heavy rock in its infancy and the popular acclaim which followed the success of bands like The Rolling Stones, Cream, Led Zeppelin and The Who in ’69 augured the possibility of an exciting alternative career in the ‘70s for the four very young men from East Anglia. Accompanied by the sound of Jethro Tull blasting from a reel-to-reel tape player crudely attached to the dashboard ; Steve Vaughan-Williams, Tuffy Ridgeon, Ted Chapman and Billy Gray toured England as Smoke through 1969 amd 1970 in a van which doubled as sleeping quarters on northern winter nights and sunshade on southern summer days. They played residency gigs in Truro, Weymouth, Exeter and Yeovil, supported The Move on Weymouth pier and fondly recall a support gig with Colosseum in Newcastle. Parking on beaches, sharing flea pit hotel rooms and surviving on a breadline budget were the least of their problems. 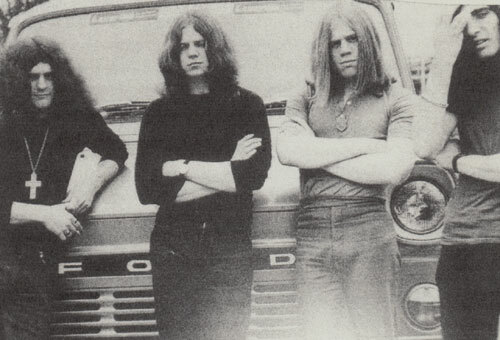 Considered hip in Bury St Edmunds for their long hair and clothes everyone assumed their lifestyle was drink and drugs but lack of funds ensured these were notably absent from Smoke’s agenda barring some youthful marijuana dabbling which demolished their chance of a European tour. At this point regular UK gigs had sharpened the bands proficiency sufficiently for lead vocalist Tuffy Ridgeon and guitarist Steve Vaughan-Williams to view the band as a full-time career but when the rest of the original line-up disagreed they parted company. Billy Gray and Ted Chapman were enlisted as replacements and they gelled immediately but at 16 years of age both were still classified as minors. 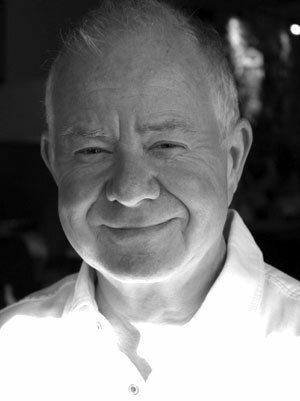 (Billy Gray’s brother Andy Gray ran the Andy’s Records chain which evolved from his second-hand record stall on Felixstowe pier in 1969). Acting on the promise of a European tour arranged by a German promoter in London called Wolfgang, Smoke’s agent went to Bow Street Magistrates Court in London to apply for a permit for the two boys to work abroad. Things quickly unravelled. The magistrate refused Billy a permit because he’d been caught with cannabis in his pocket a few months before joining the band and then swiftly rejected Ted as well for ‘associating with a known drug offender.’ Believing a responsible adult accompanying them would circumvent this problem their agent, the son of a vicar, offered himself up for the role. When the magistrate began reading out the long list of various offences he had been charged with in previous years, Steve and Tuffy realised their chance of a European tour was dead in the water. Deflated at the lost opportunity and tired of trekking the UK, Tuffy and Steve decided it was time to commit the Smoke sound to vinyl. 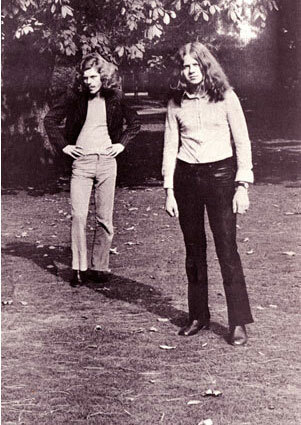 Billy Gray left the band and Tony Fernandez was drafted in as drummer for all the recording sessions which followed. Now residing in Portugal, after Smoke Tony toured America as part of Eric Clapton’s backing band before joining Strawbs and when Rick Wakeman left Tony went with him. He remains Wakeman’s favoured studio and concert drummer to this day. 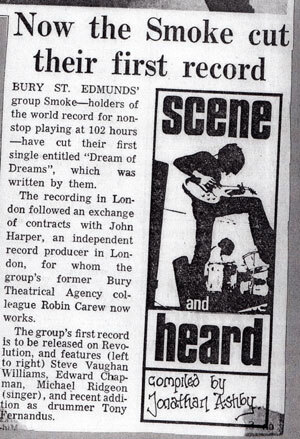 Finding a new home with Revolution Records, Smoke’s ‘Dreams of Dreams’ was recorded at Orange Studios. Manfred Mann’s horn section were booked to augment the session but they failed to show up. 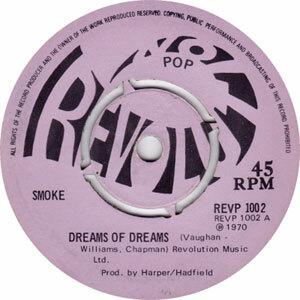 In subsequent decades the single has been gradually subsumed into the archive of a completely different band called ‘The’ Smoke who hailed from York and reached number 45 in the March 1967 UK singles chart with ‘My Friend Jack.’ Thus ‘Dreams of Dreams’ is now a bonus track on Repertoire Records 1993 CD reissue of The Smoke’s’…It’s Smoke Time’ and in 1995 Vernon Joynson’s ’Tapestry Of Delights’ psych tome added the single to The Smoke’s discography, deleting at a stroke any chance of Smoke from Bury St Edmunds ever being included in the pantheon of obscure psych bands. 2006’s Tapestry Of Delights Revisited reprised both the error and omission. One theory is the osmotic absorption of Smoke’s only single into The Smoke’s back catalogue was karmic retribution for the occasion when they arrived at a venue in Sutton Coldfield and noticed the words ‘The Smoke’ and ‘My Friend Jack’ on the poster advertising their gig. Realising their unscrupulous manager had secured the well-paid booking with a promoter under the pretence they were ‘The’ Smoke, the incensed but green young band capitulated, playing the gig and adding ‘My Friend Jack’ at the end of their normal set. None the wiser, the crowd lapped it up but Smoke were livid and vowed never to repeat the impersonation. Equally intriguing is staged film footage of the band playing live in a pub in 1970 intercut with psychedelic pastoral shots of them strolling through fields near the village of Livermere just north of Bury St Edmunds. The film is something of a landmark in the pre-history of rock videos. The film’s director Tom Taylor lived in Bury St Edmunds and worked for a company called Caravel who created promotional films for hit singles in the early seventies long before it became standard practice for every hit song to have its own video. 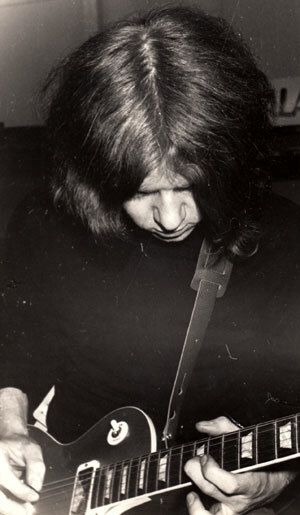 Taylor’s name appears on a quantity of Top Of The Pops paperwork credited with creating the numerous promotional films for the show including R Dean Taylor’s Indiana Wants Me, George Harrison’s My Sweet Lord, Elvis Presley’s American Trilogy and Hawkwind’s Silver Machine. The Smoke footage is unusual as they never had a hit but being a band local to Taylor they may have been one of his earliest film subjects. It’s possible he owned and ran Caravel Films but Spoke Records who arranged the digital transfer of the Smoke footage for online release have not yet been able to verfy this hypothesis. The film can be seen on the ‘spokerecords’ YouTube channel. Spoke Records would like to thank Steve Vaughan-Williams of Smoke for his generous assistance throughout this project.